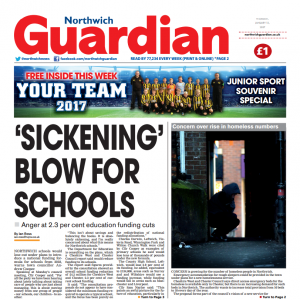 Journalists at the Northwich Guardian have called on Newsquest to retain a base in the Cheshire town - as more of the publisher's Northern journalists were made redundant. The high-street office closed last week and the staff were moved to the premises of the Warrington Guardian, 15 miles away. The National Union of Journalists (NUJ) said that its members "understand the need for the closure", but would like to have a base situated within the community they have served for the past 157 years. The journalists have won support from local MP Graham Evans. Meanwhile, staff at Newsquest titles in Blackburn, at the Lancashire Telegraph, and in Bolton, at the Bolton News, lost further posts in December. A photographer at Blackburn and a content editor in Bolton have been made redundant. Kennedy added: "The number of redundancies in the north west might appear to be small, but these teams have already been cut to the bone and those left behind have been put under further pressure at work. "We are calling on Newsquest to reward those who are still working at the titles with a pay increase this year, to reflect the increased workloads and additional skills required to produce the local newspaper titles. Without their hardworking and dedicated staff, the company has nothing."